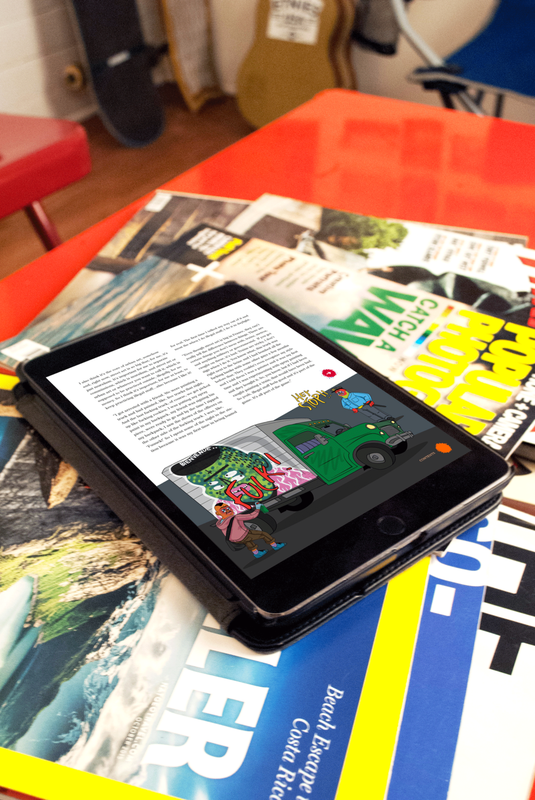 The Very Nearly Almost magazine is converted into a EPUB format for users to read on digital platforms such as iPads. This would allow the user to transport articles easier and faster for user experience. Through out the design there will be different sections for reading articles and interviews about illustrators or painters. There will be also links embedded in the text related to the information of the article in order to discover who or what is the subject. Video and animation will be included to make the magazine more interactive for the readers.